This entire DIY bathroom makeover by Shades of Blue Interiors is a must-see! 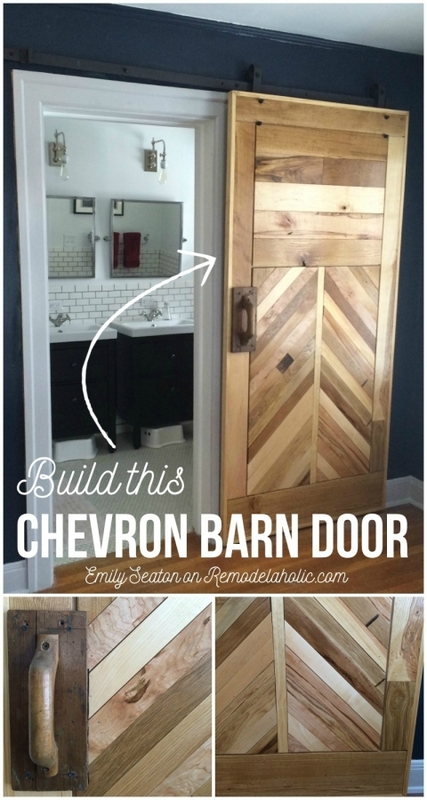 She includes full instructions and lots of DIY tips on her barn door installation process by . Beautiful and so unique! I love how the hardware is very sleek and simple. 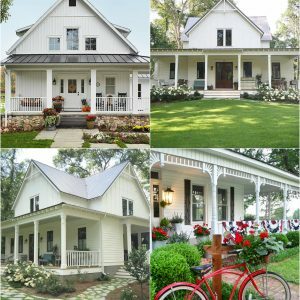 Find this project featured on Remodelaholic. 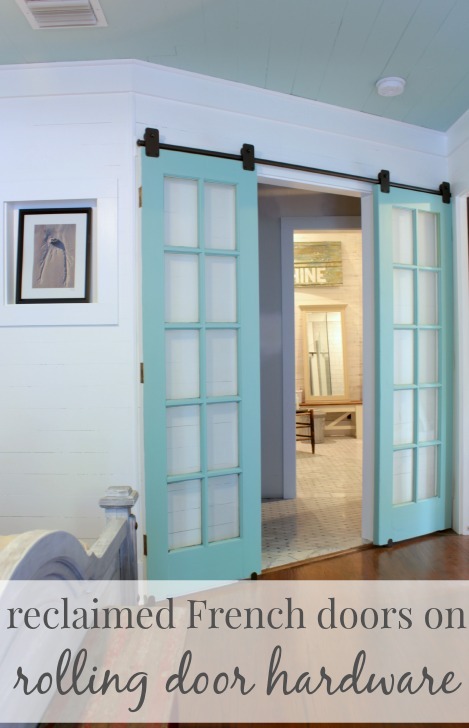 These double sliding doors are perfect for this spot! Find this featured here, and browse their selection of hardware kits! 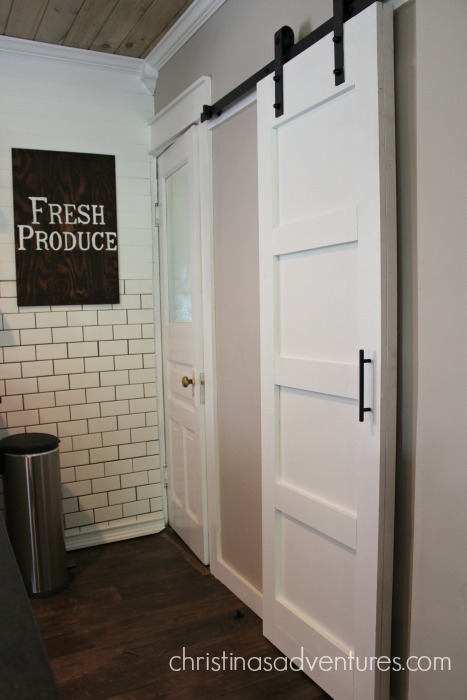 This sliding pantry door was originally a hollow door. The door itself only cost $15 because she purchased it second-hand. Go see the full directions at Christina’s Adventures. 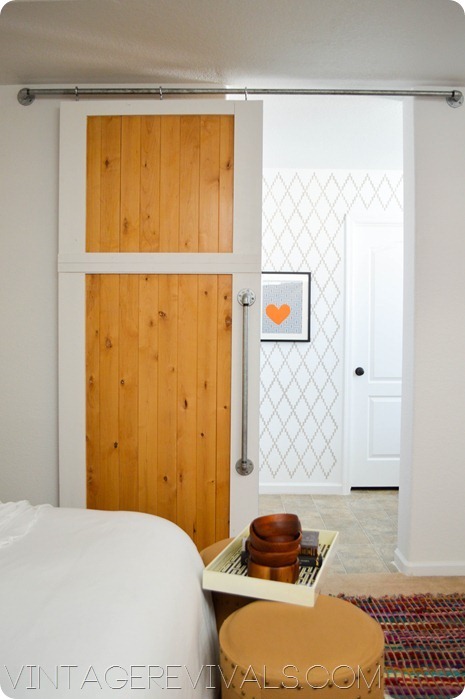 If you crave a more contemporary design, be sure to check out this DIY barn door from Paper Daisy Design. 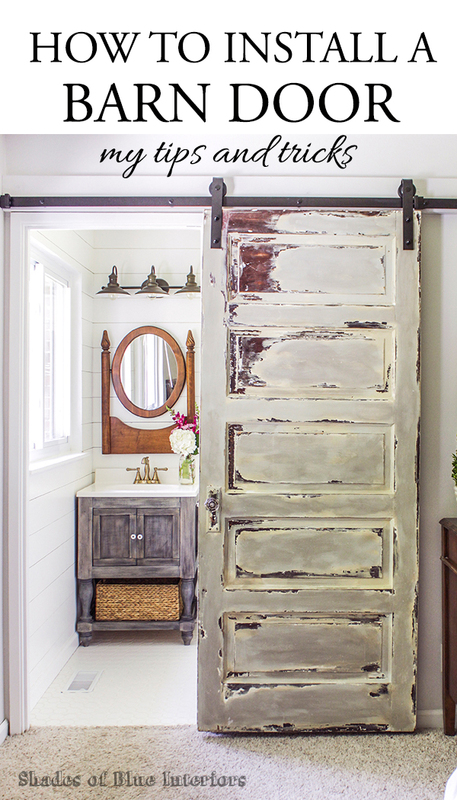 This classic DIY barn door by Beneath My Heart is a reader favorite on her blog! This is an excellent tutorial from start to finish. A sliding door is perfect for dividing rooms and hiding messes! 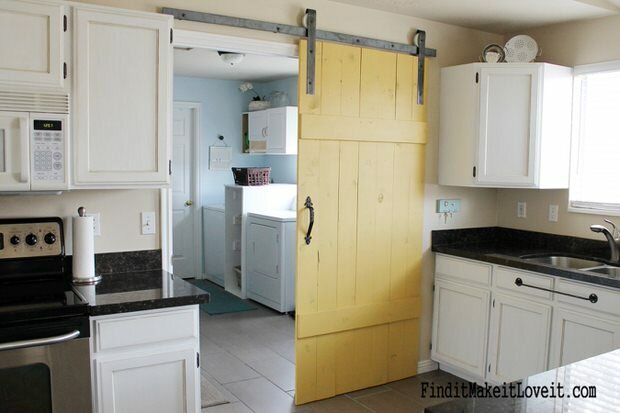 This yellow barn door adds an adorable pop of color to an otherwise neutral kitchen. Think of all the door colors you could choose with this kitchen! You could change your mind every year for only the cost of a quart of paint. 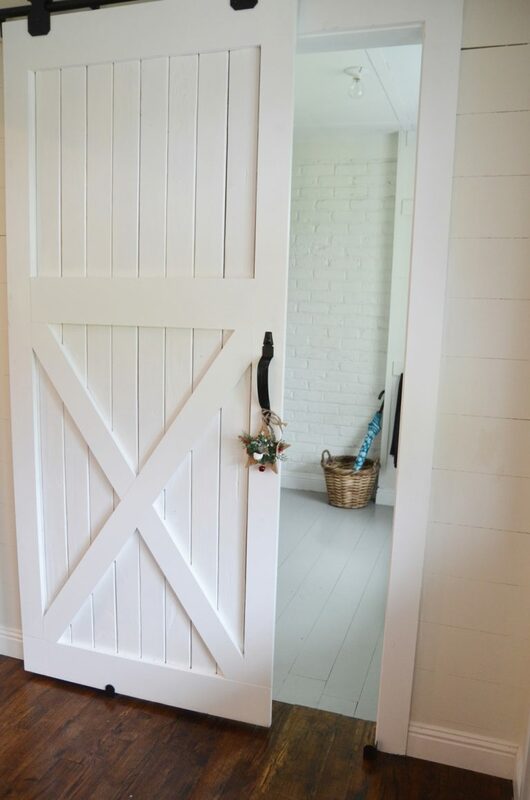 This door is from Find it Make it Love it and is a great tutorial for those looking for an affordable DIY barn door. 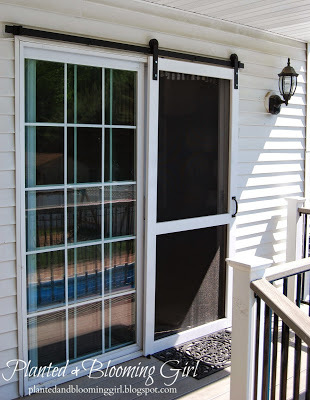 Take note of this sliding door hardware if you are looking for an inexpensive way to hang your door. Find the instructions at Jenna Burger Design. This entire project cost just over $100! Read about it on Jenna Sue Design. 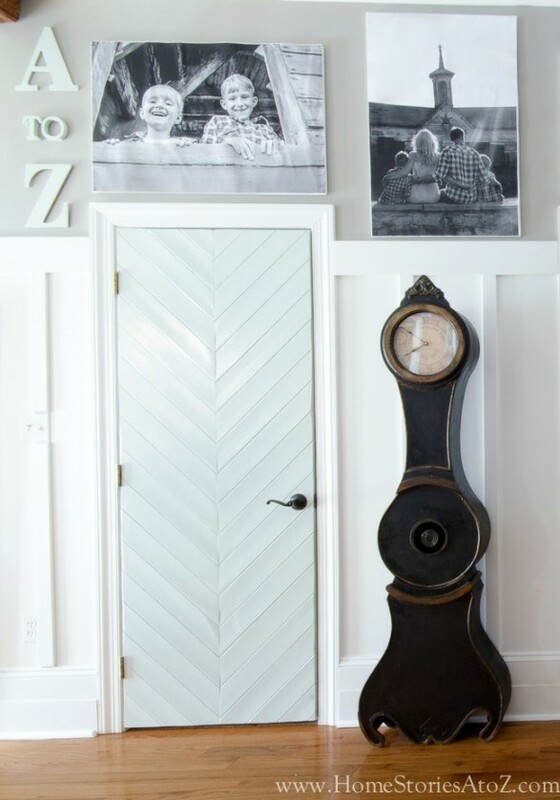 Find this contemporary DIY Sliding Barn Door tutorial over on Vintage Revivals. 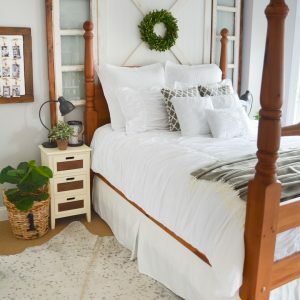 This gorgeous DIY Barn door by The Accent Piece was one of the first DIY barn tutorials to hit the blogosphere. 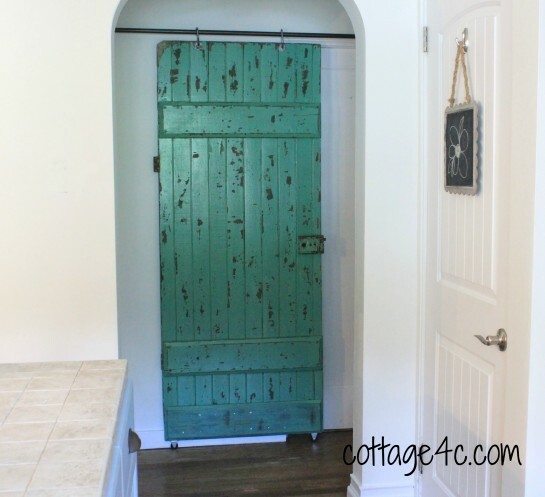 Many bloggers have referenced this door in their own DIY projects for good reason. They did an amazing job! 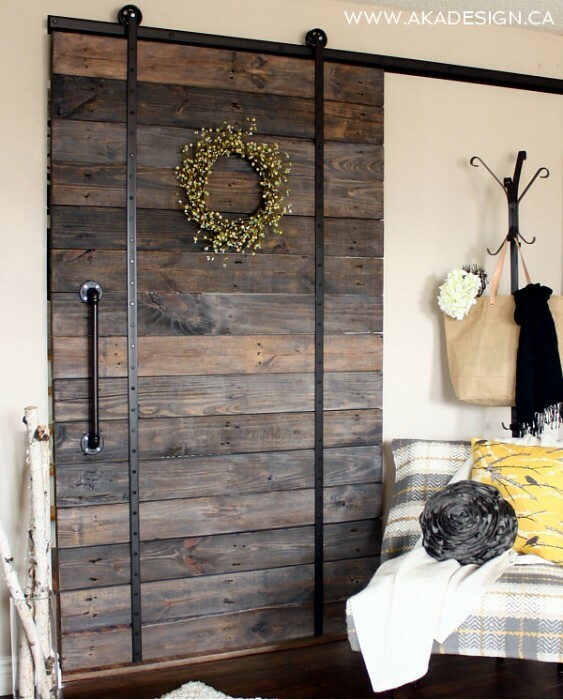 Learn how to make this DIY industrial barn door by Maple Leaves & Sycamore Trees. So cute! What a great way to spruce up a sliding screen door! 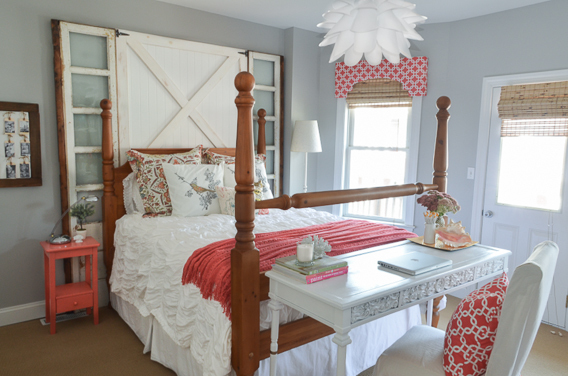 This fun DIY screen door by Planted & Blooming Girl was recently featured on Country Living! 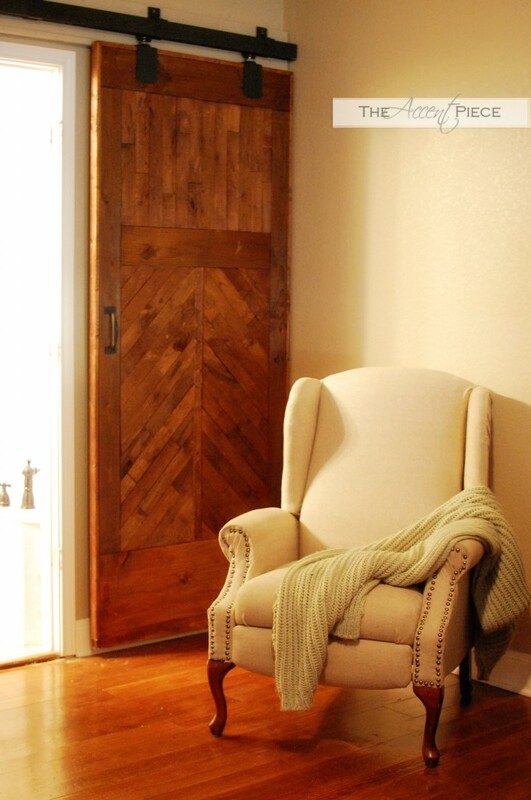 I also featured this door on my facebook page with very positive reviews. 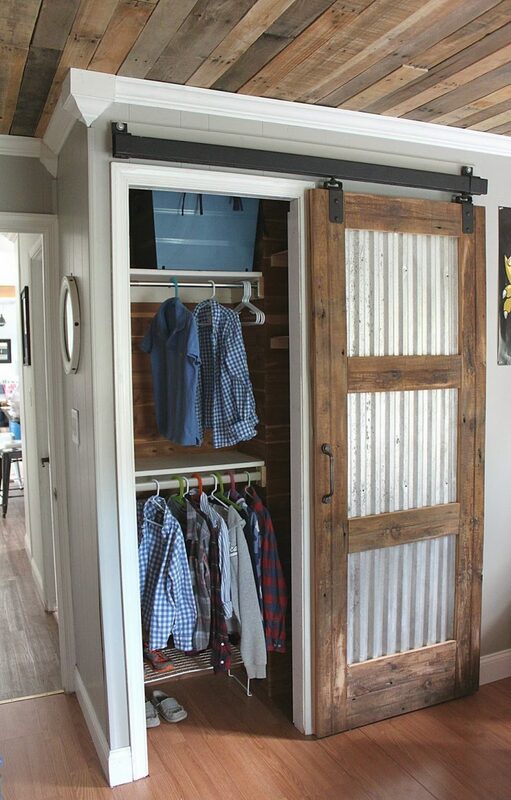 Beautiful upcycled sliding door! This blogger promises that it won’t break the bank. Find this project from AKA Design. What a beautiful space! Sarah Steinberg Custom Designs featured on Houzz. 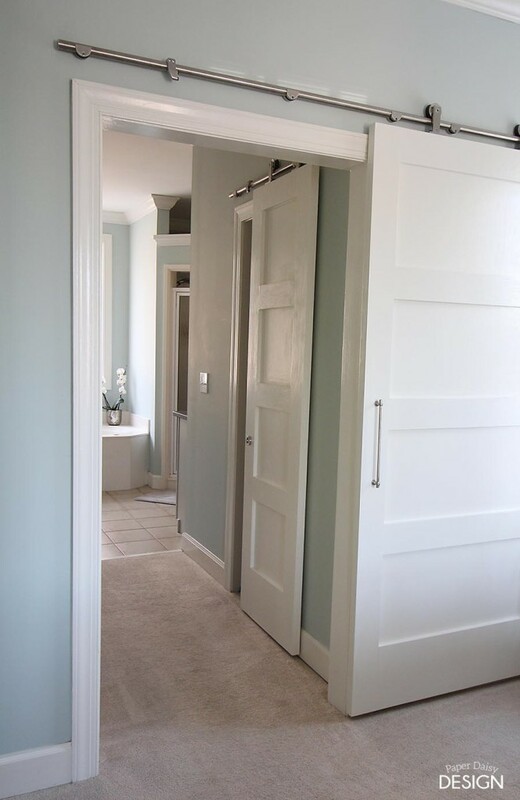 This door makes such a pretty statement in this hallway! Find this project and the unique way she hung the door over on Cottage4c. 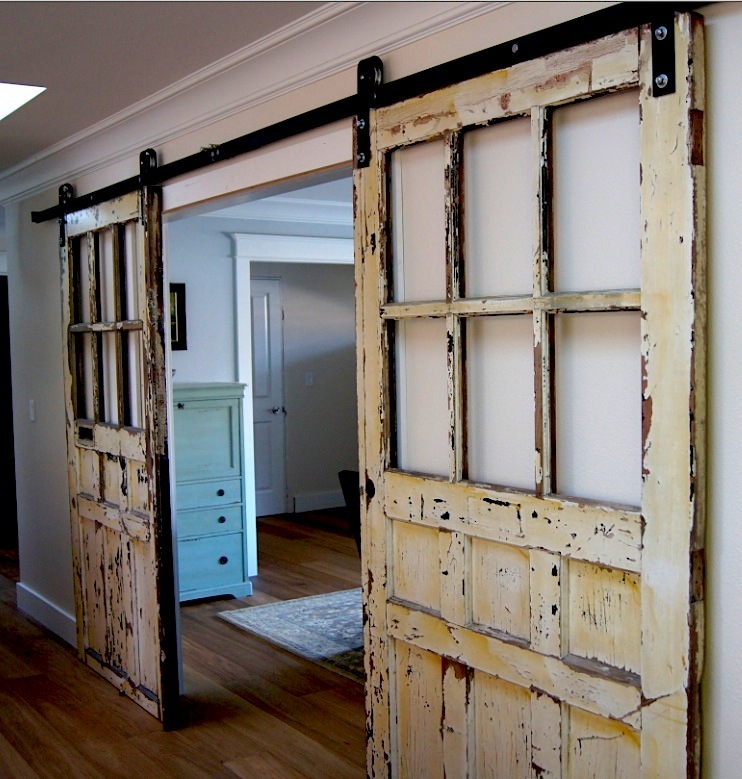 Turn your french doors into barn doors! I love this idea! Find the tutorial over on The Space Between. While this picture doesn’t include do-it-yourself instructions, I added it purely for inspiration! 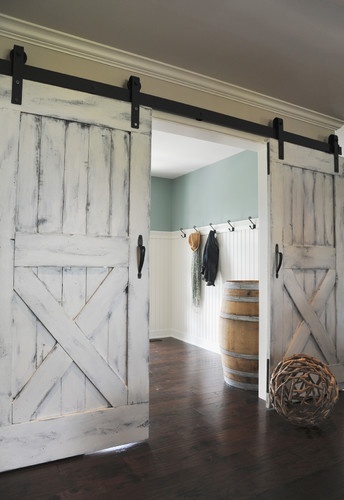 In place of pocket doors, consider adding two barn door panels to segregate rooms and add character. This room found on Houzz. 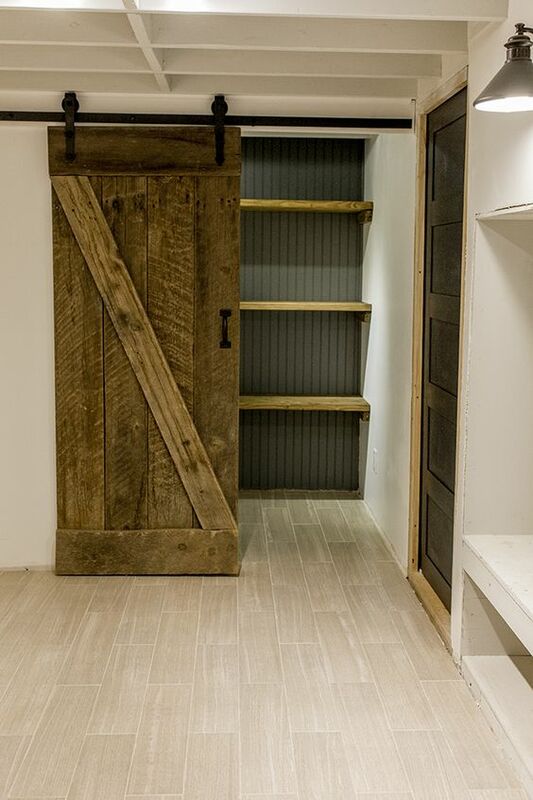 These are some great examples of the types of barn doors you can build (or order if you should so desire!). Find these from 1925 Workbench. 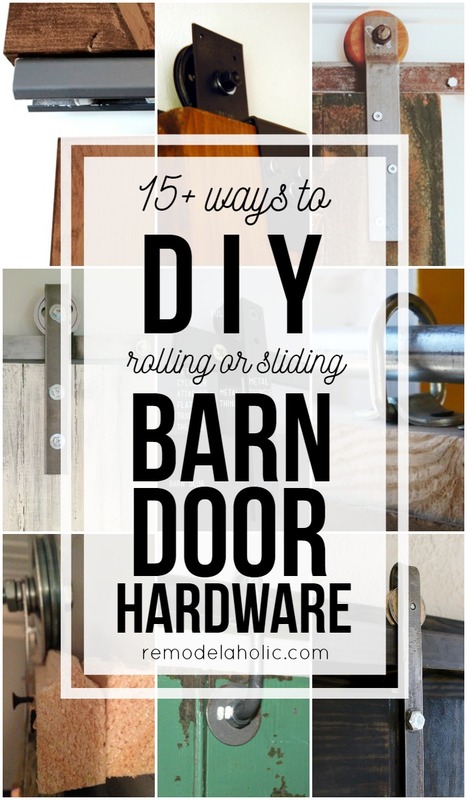 This fantastic round-up of DIY barn door hardware by Remodelaholic will help you narrow down your options for your next DIY barn door project! questions please – I am looking to use screen doors over a pantry that now have ugly folding doors. 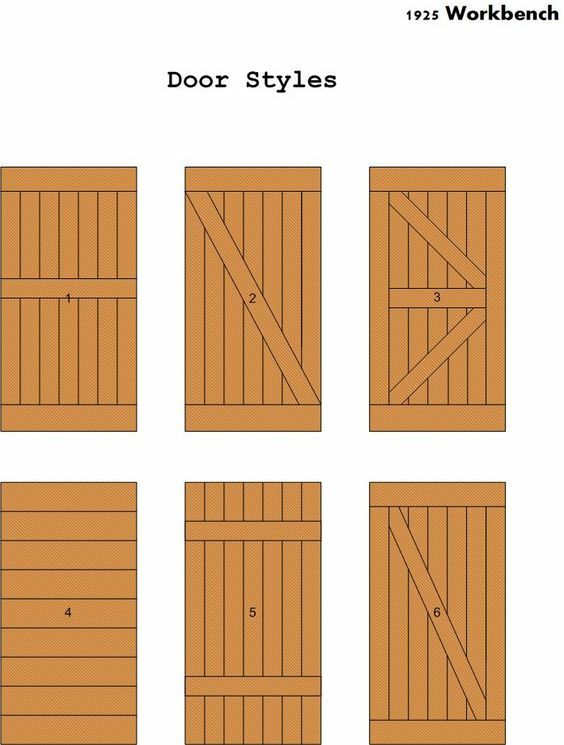 I want to put two doors in place that one can be slid behind the other due to limit space to put doors. Any ideas would be helping with the rolling/ sliding doors. Please let me know . 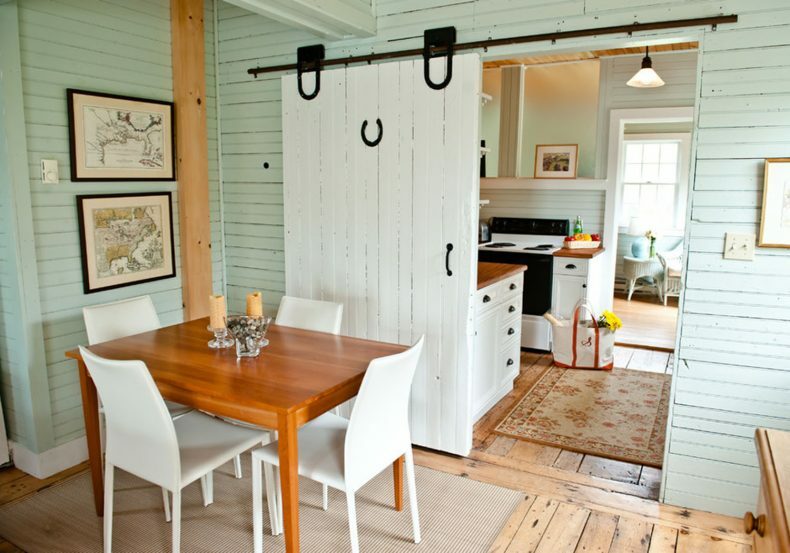 Thank you for this very informative post as I am looking at options for a rolling barn door. Some great ideas!